Do you understand your childs behavior? Why is your bright child not coping at school? If you are reading this, the chances are that you have a child who is struggling at school. Maybe he or she is finding it difficult to master skills such as reading, writing, maths or spelling. Maybe he or she can do all these things but comes home with reports about unfinished work, or work left at home. The teacher complains about her being disorganised, untidy or even aggressive towards other children. Or maybe she is described as being unfocused and a daydreamer who never seems to listen. And maybe you agree with the teacher because you see the same behaviour at home. Labels such as ADHD, Dyslexia, Auditory Processing Problems, Sensory Processing Disorder are mentioned. What’s going on? Omega-3 benefits learning: Fact or fiction? There’s quite a lot of hype going around about the miraculous effects an omega-3 supplement may have on a child’s ability to learn, attend and behave appropriately. There is no doubt that these oils are needed for building the brain in young children and having it function well throughout our lives. We know how the brain utilizes the oil so it seems logical that having too little may negatively affect the brain. Yet the evidence for supplementation isn’t consistent. For example, research from the University of Oxford in 2008 found that dietary supplementation with Omega-3 improved both reading progress and behaviour in children from the general school population who were struggling with reading. 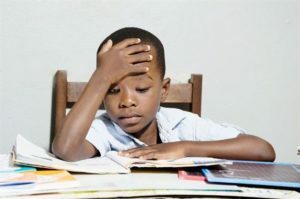 Disappointingly, the same research team duplicated this study in 2018 and this time found no evidence that Omega-3 helped or improved the reading ability or memory of underperforming school children. The results were entirely different. Contradicting this recent finding are two further studies. One, published in 2016, was conducted by the University of Sweden and found that children with attention problems may be helped sin their reading with the addition of these fatty acids. In particular, they found significant improvement in the children’s ability to read a nonsense word aloud and pronounce it correctly and read a series of letters quickly. The second study, reported in 2018 in the journal, Aggressive Behavior, found that children taking omega-3 over a year showed decreased psychological aggression and improved behaviour, effects that seemed to encourage less fighting and arguments between caregivers. This is the first to suggest that improving child behaviour through Omega-3 supplementation could have long-term benefits to the family system as a whole. It seems sensible to address this somewhat contentious issue with caution especially as good Omega-3 supplements are expensive. Certainly personal experience by ILT practitioners shows that some children benefit markedly by regular, long-term supplements of Omega-3 as well as eating more foods containing this oil. Others show less dramatic improvements. Tiredness, weakness, frequent infections, lowered immunity (always sick) and allergies. If you can’t afford supplements, encourage your child to eat cold water fish, such as snoek, pilchards, salmon, hake (but grilled or baked – not battered and deep-fried) and walnuts and pumpkin seeds. Flax seed oil is cheaper and not as strong-tasting as fish oil and can be hidden in smoothies, salad dressings, milk over cereals and so on. To conclude, don’t expect that your child’s problems will miraculously disappear once you start on an Omega-3 supplement. Give it at least 4 months before seeing results. In addition, oil deficiency may not be the one underlying cause of the child’s challenges. There may be other areas needing intervention. 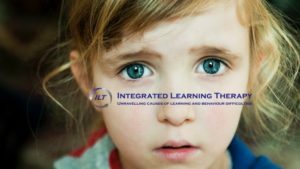 Try to have a comprehensive evaluation of all the factors that may be impacting on a learner’s ability to cope with the demands of school and life.